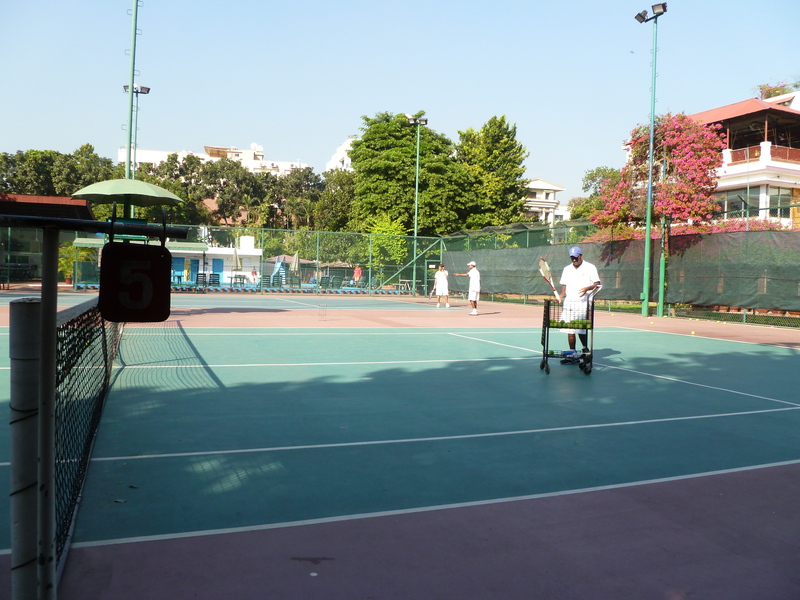 However, when speaking to newbies or future posters, regardless of your current opinion on Dhaka, or how you despair about the dearth of Western movie theaters and ice skating rinks, you always mention one thing… The tennis lessons at the American Club. They’re cheap! They’re sporty! It’s the best tennis court in Bangladesh! Bangladesh, it’s got a lot of draw for the local aspiring international tennis players who are otherwise not eligible for membership in the American Club. So… how do they get court time? By working as “markers,” instructors, coaches and ballboys. They changed the balls today, so they’re all fresh and new. 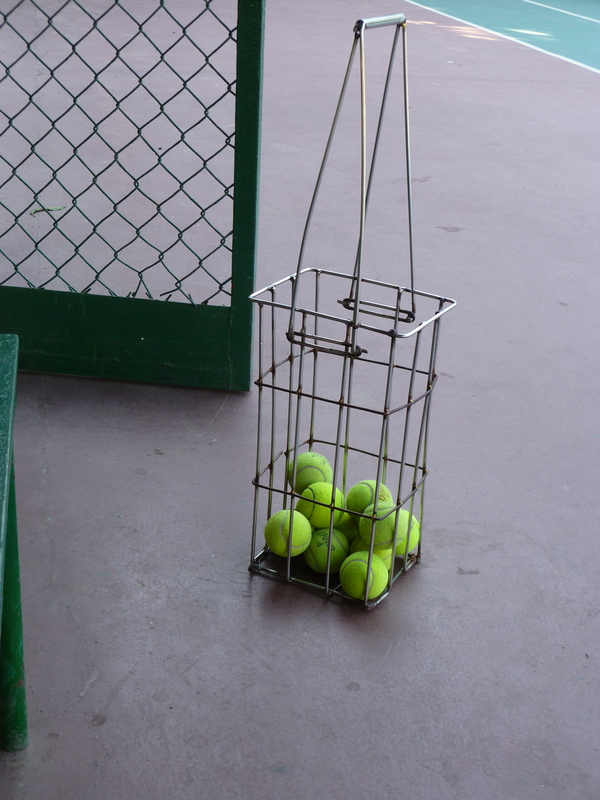 So, I’m now taking private tennis lessons, at the club. (Doesn’t that sound terribly posh?) Twice a week, even. I’m not very good yet, though that depends somewhat on whether I am practicing form or power during my lesson. I also look like a moron because I haven’t had any lessons in stance yet, just in swinging and following-through. However, at the astounding rate of $3 including court-time, instructor, ball-boy and all the tennis balls you could ever need, I think I’ll start looking better soon. Some of the instructors are better than others, at teaching, but they’re all great at tennis. Tennis not your thing? 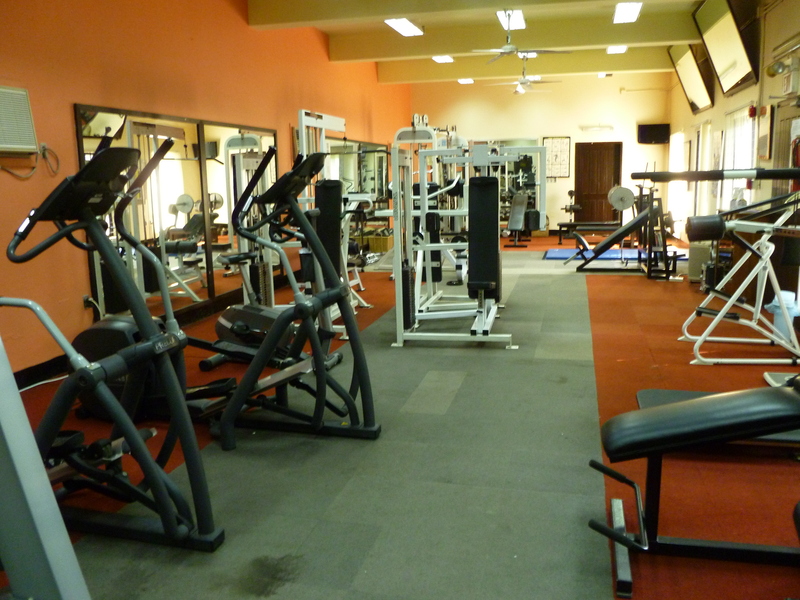 The American club also has a workout room, basketball court, squash court, dance floor, and pool (of course!). Some of the Americans are also quite good at tennis, so on the weekends, during the prime times, it can be fun to sit up over the courts and watch the lessons or games. They even set up a little area on the side of the action where you can have drinks delivered to you in a shaded chair while you watch. It’s just like Wimbledon, but hotter. Much much much hotter. I will attempt to go out and start collecting some, so you can see a little more about this strange double life of dusty, muddy streets, widespread poverty, and the shock on everyone’s face to see me walking around on one hand and the normalcy created within the American community as an island of home-life on the other.